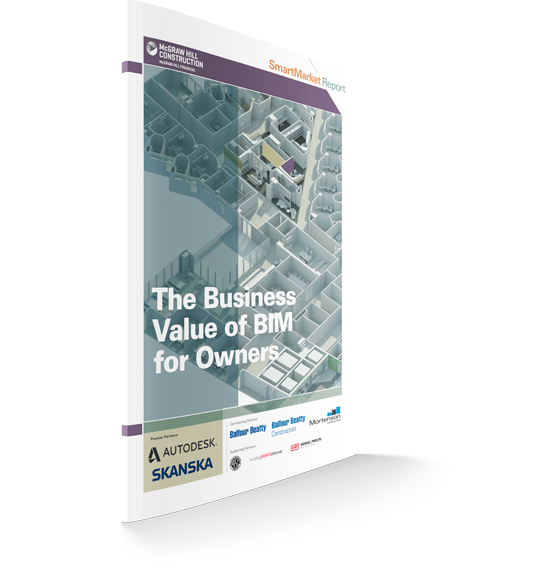 The Business Value of BIM for Owners SmartMarket Report focuses on the perspective of owners in the US and UK on whose project BIM is being deployed. Looking at their level of engagement with BIM and how it has been impacted by BIM government policy initiatives, what they need to expand their involvement with BIM, the benefits they believe they derive from the use of BIM on their projects and their perspectives on BIM for facilities management. In addition, the report features qualitative data on the engagement with BIM by owners in Singapore and Scandinavia, as well as an in-depth examination of BIM policy trends and mandates globally across over 20 different countries.